"Poor diets are all too common in this country and, along with obesity, are now one of the leading causes of disease such as cancer, heart disease and type 2 diabetes. It’s clear from these data that the nation’s diet needs an overhaul. 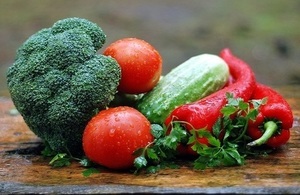 "A healthy balanced diet is the foundation to good health. Eating 5 A Day and reducing our intake of calories, sugar, and saturated fat is what many of us need to do to reduce the risk of long term health problems." The data underscores PHE’s call for the population to follow a healthy balanced diet, based on the Eatwell Guide, which includes eating at least 5 portions of a variety of fruit and vegetables per day, increasing consumption of oily fish and fibre and limiting the amount food high in saturated fat, sugar and salt. Following a healthy, balanced diet and reducing calories will help reduce obesity and the economic and social burden of its consequences.